I can’t believe we are basically halfway through summer already! Sad! We have barely done any barbecuing and no lake time at all. I guess we have the rest of July and all of August to pick it up but it seems like it has gone so fast. It has been a fun summer so far though, lots of friend time and enjoying being newlyweds, eating a big breakfast together on Sunday mornings on our little patio! This summer I turned the dreaded thirty (a low point), but I also started this blog that I love doing so far, spend lots of time with friends and my new husband and will soon welcome the new baby of a good friend and watched another reach six months old (all highs!). We were lucky enough to spend time with these sweetie pies this summer, my dear friend Azadeh and her husband drove over 3000 miles from Virginia to British Columbia to be in our wedding and even though we see each other infrequently it is exactly like old times the minute we get together. 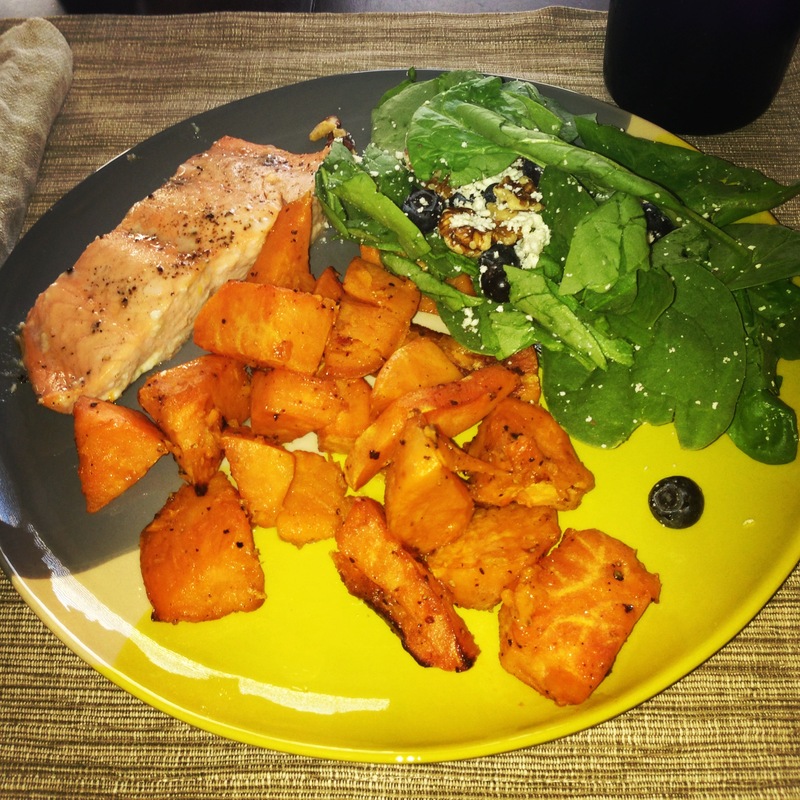 My very first meal as a wife! Salmon fillets that I marinated in orange olive oil and lemon balsamic vinegar for three hours, then baked. Yams that I toss in olive oil with rosemary and salt and pepper the bake as well at 400 for 20 minutes, flip them all and cook another 20 minutes. I LOVE yams, and these are so easy and good. Then a spinach salad with blueberries, feta and walnuts in a raspberry balsamic vinegar, yum. 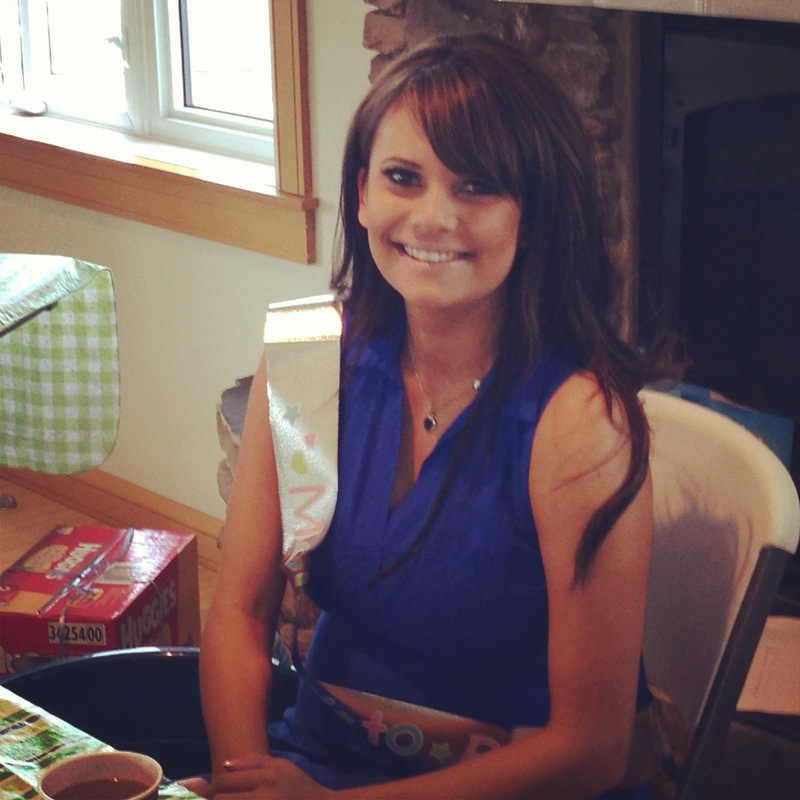 This beautiful Mom to be has a new baby coming in less than two months and I can’t wait to meet little Noah! Her baby shower was so cute and all Noah’s Ark themed. Kimberly is one of those girls that looks not at all pregnant from the front and back, but when she turns she has a big belly. You want to hate her but you can’t because she is so sweet. Black pedicure for the death of my twenties. My thirtieth birthday. There must be some mistake on my birth certificate. I’m certain. My boyfriend James and I on a starbucks date. We are truly in love, he just doesn’t know it. 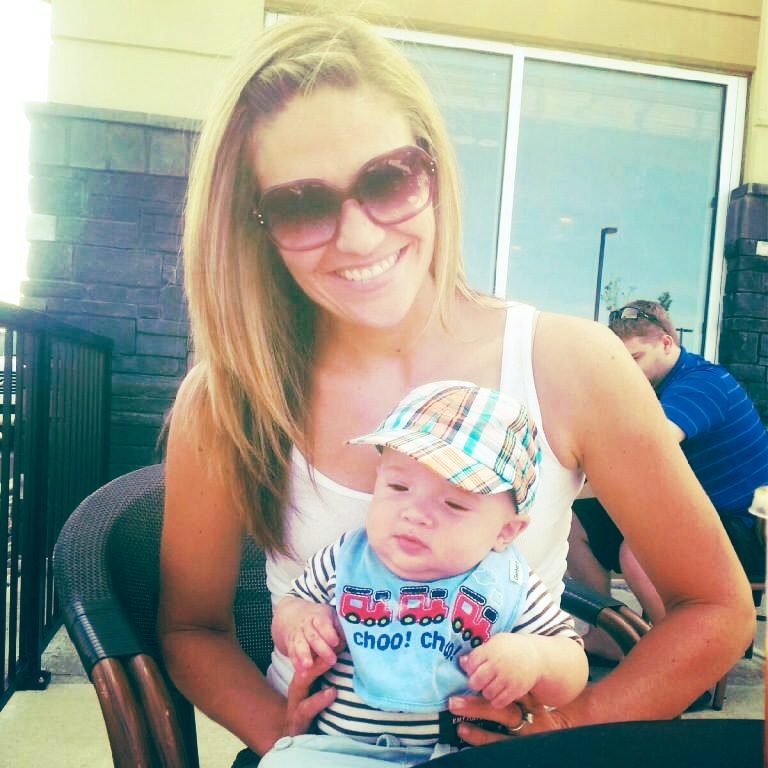 His Mom is my bff Lindsy and she is such a great Mom and person, she makes me feel like maybe I could handle motherhood! 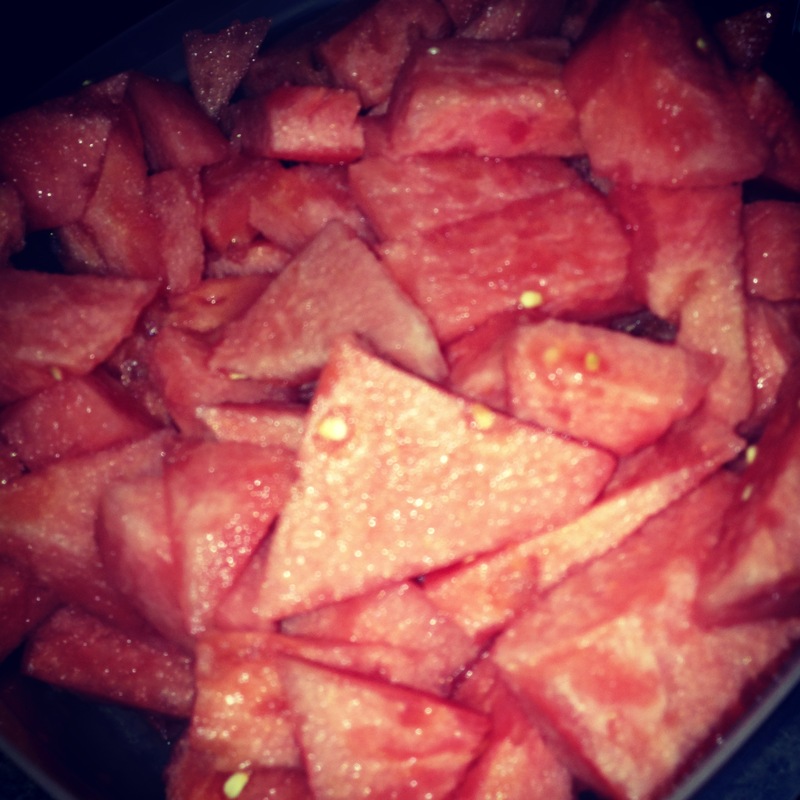 Watermelon is my summer ADDICTION! I literally can not get enough. One day I bought one that was too ripe that I had to throw it out and I honestly thought I might cry. I know it’s gross but I probably go through a whole watermelon a week. I love it! 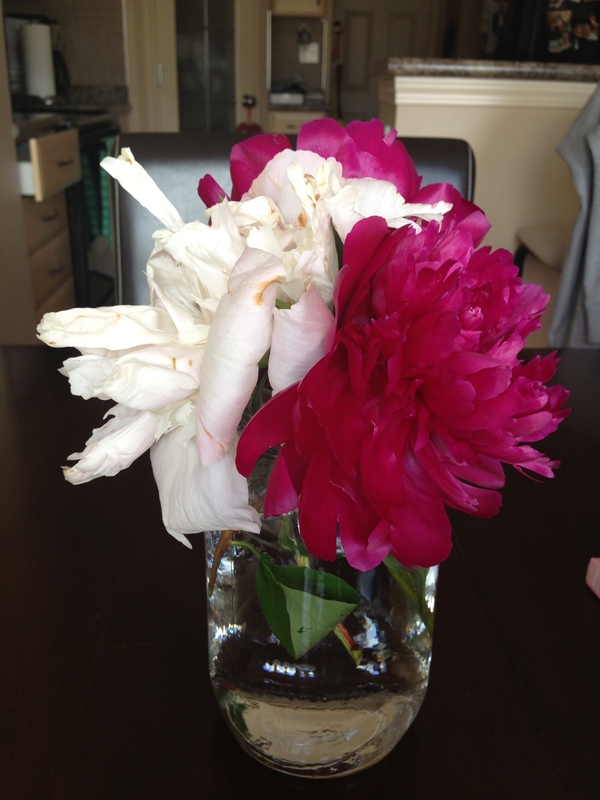 Peonies from my Mother in law’s garden. So pretty and summery. 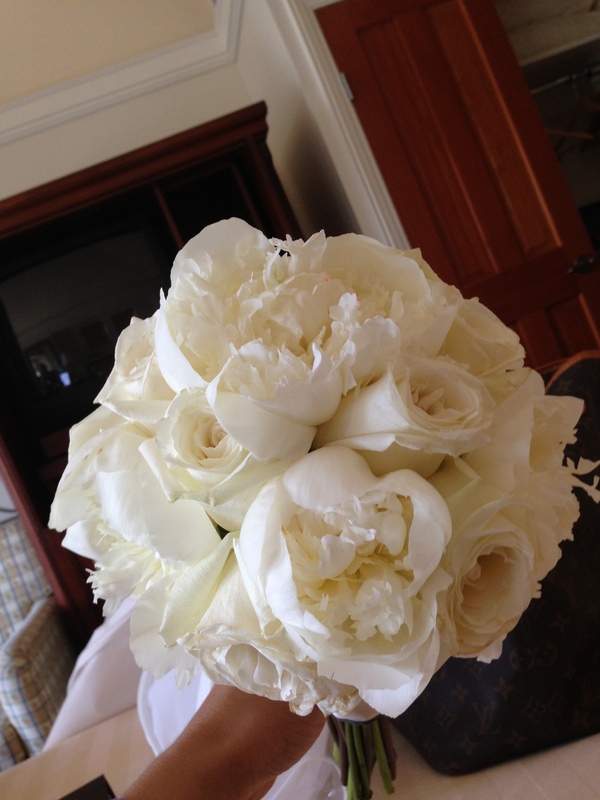 My bouquet at the wedding was peonies and roses and I thought it was totally gorgeous, I’m having a peony love fest. More wedding stuff to come. 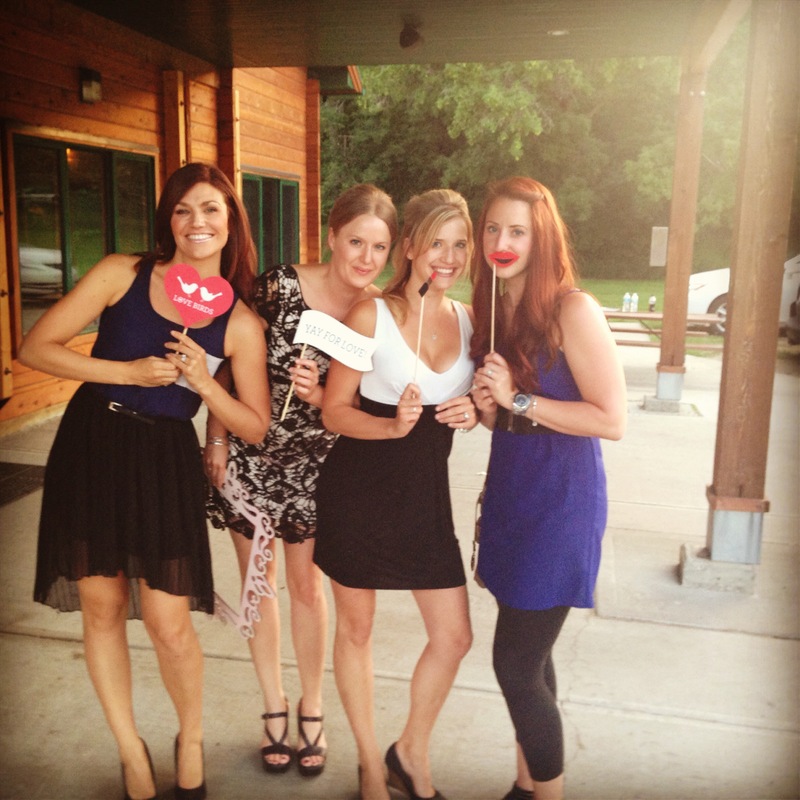 Some of my favourites and I at a lovely wedding of an old friend. 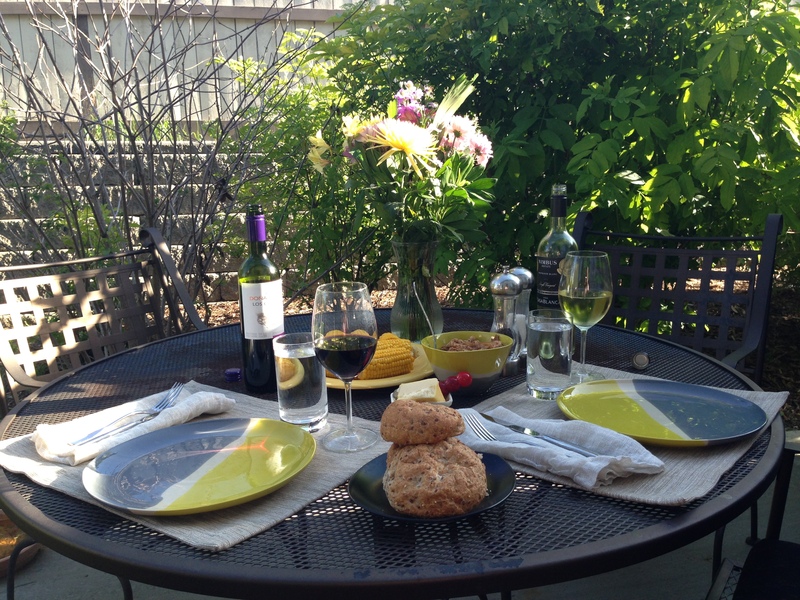 Dinner on our humble little patio. I made pulled pork in the crock pot, it is literally the easiest thing ever. Slice up an onion and put it all on the bottom of the crock pot. Rinse a 3 pound pork loin and cover with seasoning salt (I used Lawry’s) and pepper and put that in the crock pot next. Mix a can of Diet Coke with a cup and a half of BBQ sauce, we like Cattle Boys, pour that on top of pork loin and cook on low for 7-8 hours. After 8 hours take it out and shred it with two forks (so easy) and put it back in the crock pot, stir it all up and cook for another 30 minutes. Serve with corn on the cob, multigrain buns and coleslaw. This made a LOT of food, Ryan had pulled pork sandwiches in his lunches for a week. Free slurpee day at 7/11! 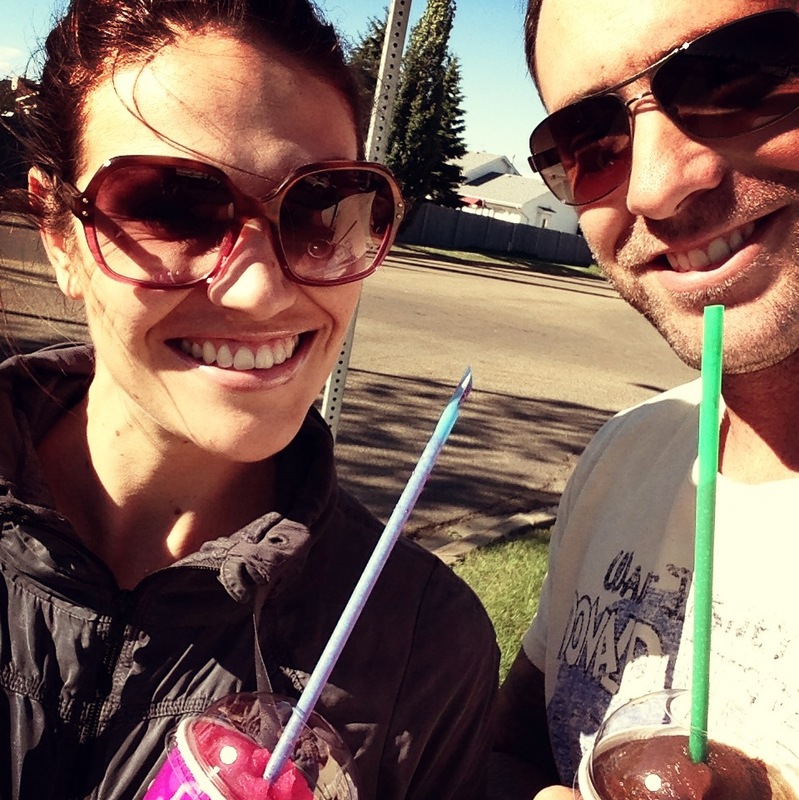 Slurpees are Ryan’s all time favourite from childhood so we had to go for it. I find them too sweet so normally can only get a couple sips in but they definitely scream summer! Mermaid inspired makeup. I used Smashbox Champagne all over the lid, did the crease and under my eye with Smashbox Emerald, then my tear duct and browbone with Smashbox Vanilla. 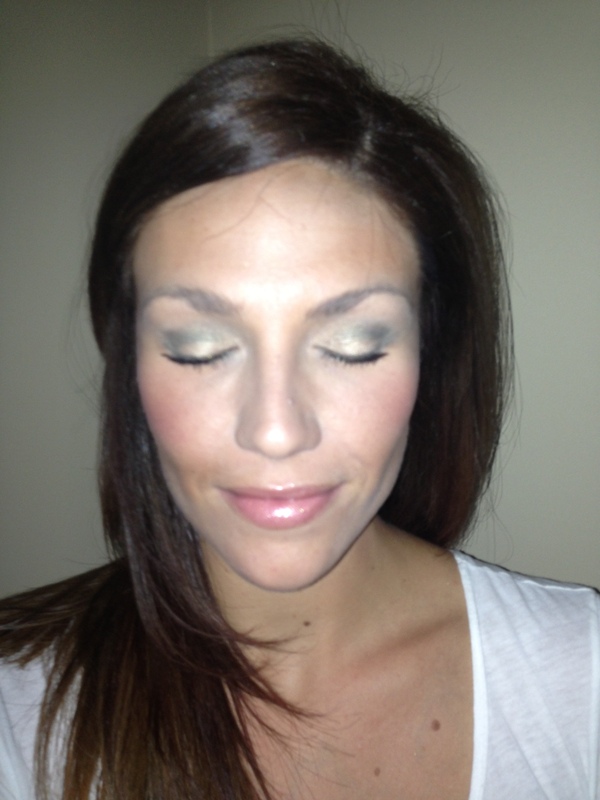 Really simple and pretty, just don’t go too heavy with the emerald, it’s quite pigmented. On my lips is MAC Love Nectar, one of my all time favourite lip glosses. Without my sister to teach me I could not do makeup to save my life. 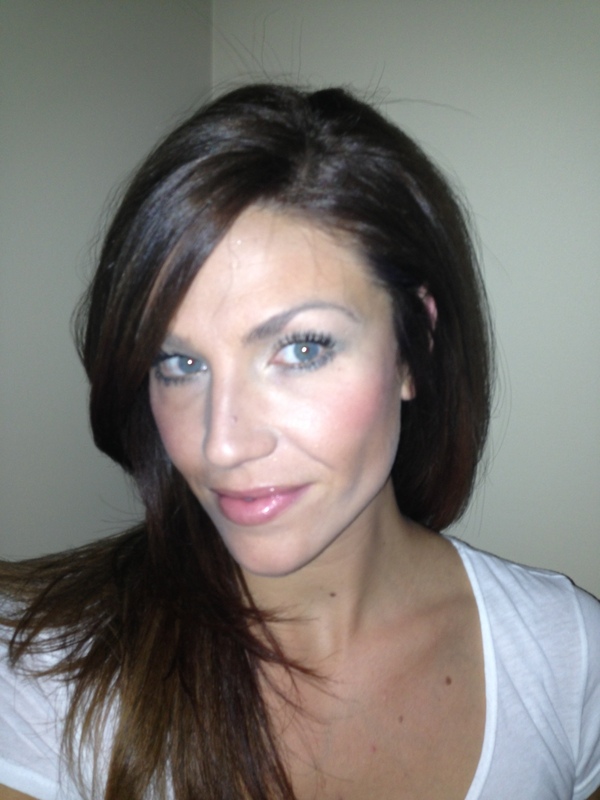 She is a professional make up artist and you can see more of her work here. The flash was working overtime in these pictures but I swear by highlighting and contouring, my sister Gillian and I are going to do a make up post next week on this little blog of mine, and I know she will cover it because she is the master. I am basically computer illiterate, so doing this blog has really forced me to learn a lot and one of the fun things is playing with photos and collages I can make. 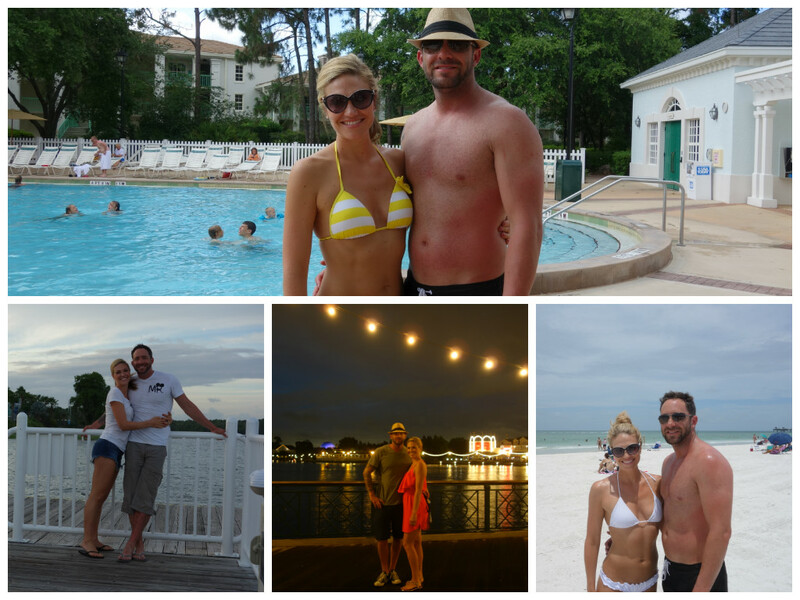 This is my first and only one so far, a little tribute to honeymooning. Our next project is redoing my office and I’m getting really excited! When Ryan got a new office at work he took my desk out to double the desk usage in his office. That left piles of things with nowhere to go (I admit I had numerous stacks of books and textbooks, cords to old blackberries, wedding stuff, pictures, magazines, and more sitting there). Since then I got so busy with the wedding and a new job that my office just became a dumping ground, it’s getting embarassing. We went all over the city today to choose what would work and look good. I think it is going to be great when it’s done. I’m doing a major purge to get ready for it. I know I have papers and essays from the first year of my first degree in there, I don’t know why. I don’t usually hold on to a lot of junk but in this room I have lost all control! I come by it honestly though, as far back as I can remember my Mom would have a beautiful pristine house with one serious “room of shame” as we like to call it. This project will be my new pride and joy and I will document it and show it all, before and after! Stay tuned! 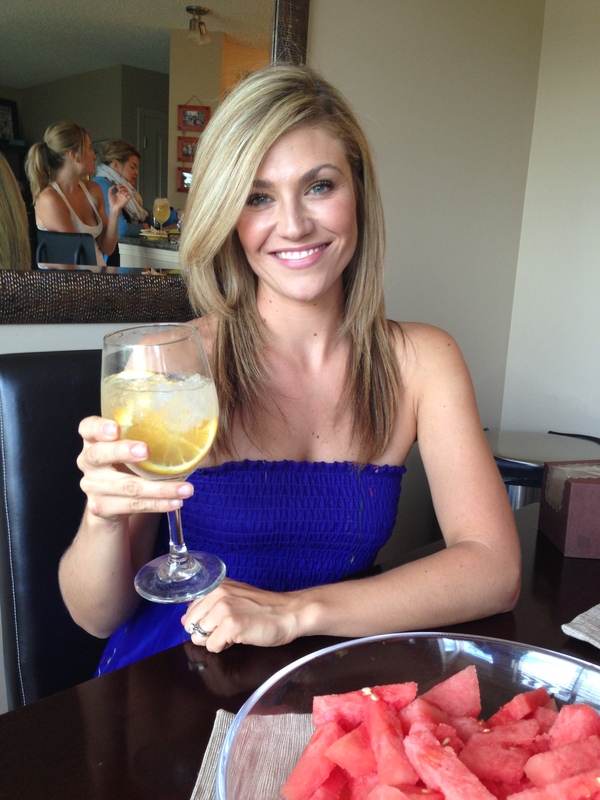 I hope you’re all having a wonderful summer!